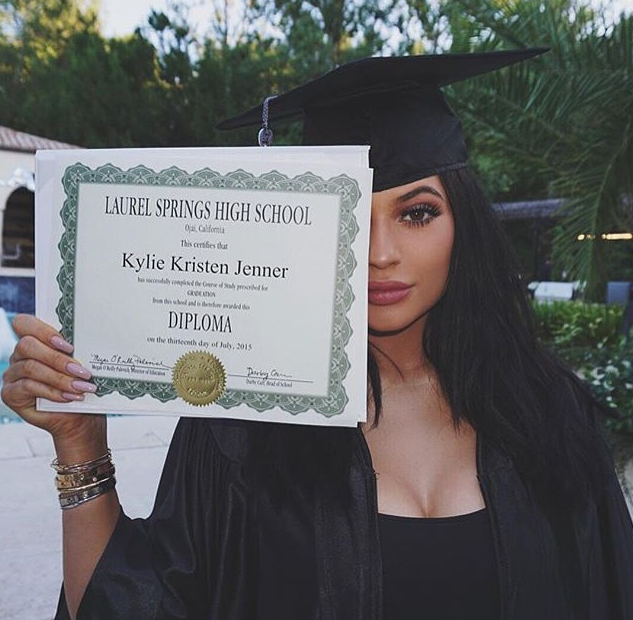 Celebrity Gossip and Entertainment News: Drug Use at Kylie Jenner's Graduation Party? Drug Use at Kylie Jenner's Graduation Party? Man appears to be caught using drugs at Kylie Jenner's graduation party. Kylie Jenner's snapchat videos are often controversial but it seems the latest might raise even more eyebrows. A video taken at the 17-year-old beauty's party last night shows her sister Khloe Kardashian dancing and twerking in front of a man who appears to take drugs. In the clip, Khlo is seen shaking her booty, while the man in a blue jacket laughs and fiddles with a packet before rubbing a substance in his mouth. He looks up at the star, wearing a leopard print outfit, and fools about, while she is clearly aware her sister is filming her from behind at the time. The man can be seen sat on the side of the pool in the back garden wearing a white top and black jeans as he picks something out of the packet with his right hand and rubs it in his mouth. He is believed to be a friend of Khloe's BFF Malika Haqq and the bash was being filmed by a professional cameraman, thought to be as part of their reality show. As well as a party every bit as extravagant as you'd expect, the Kardashian and Jenner klan kept it playful with a photobooth to capture their memories of the special day. Thankfully, the stars have shared the snaps on Instagram so their fans could get a bit of a sneak peak and the fun and games of the bash. Everyone got involved, even TV and radio star Ryan Seacrest, who hosted the party. Mirror Celeb has contacted Kylie and Khloe's reps for a comment. Why are her face and chest two completely different colors?